An aircon in the office makes workers happy and more productive. The workplace becomes more comfortable and healthy, leading to less sick offs or lethargy. But then, that can only happen if you install the right AC and at the appropriate place. It also depends on who fits it, if they're qualified to do it or not. 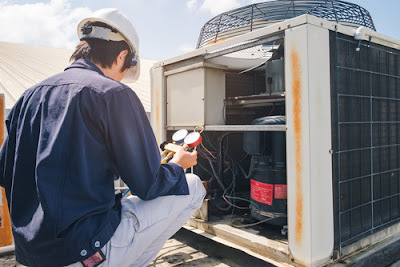 If you're looking to have a new air conditioning unit placed in your office read on. Here are 8 tips for your office aircon installation. Some units are more costly than others. The one you pick should, therefore, be according to your budget estimates. You don't want to undergo expenses outside of your planned costs. For a constrained budget, you may want to look out for lower prices and installation rates. For a larger budget, you may want to look for the expensive but quality options. If yours is a small office, it would be advisable that you install the wall mounted AC units. They're smaller and cost less. Find out about the price of each type and model before settling for the one that suits your budget. 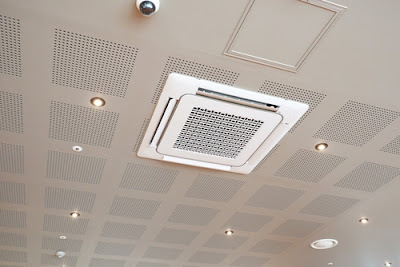 You may even ask for the advice of professional aircon installation companies if unsure of the costs. Air cooling needs will vary based on the size of your office. It would be a bad idea to install a large aircon whose capabilities are more than you require. That would only introduce unnecessary costs, both in the purchase and running the unit. On the other hand, you don't want to install a unit that struggles to cool or heat your office. It would not only have wasted your resources, but it can also mean having to go through the aircon installation process once more. Measure the dimensions of your office. Have these statistics with you so a professional can advise you on the right unit to have. Because of the aesthetic aspects of your office, you would need to be careful with the size of aircon you install. A big sized unit in a small room would appear out of place and take away the beauty of the office. It would also take up valuable space and make your office to appear crammed. Find the size that suits your room. Also, ensure you set it appropriately, away from the working area but still within the vicinity. It's essential if you will want it to cool the air around the working desk fast. If you have a large office, size may not be a big problem. Other factors would come into play to determine the type of AC you settle for, other than size. There are numerous types of air conditioners sold by various companies. They have different reputations for efficiency, lifespan and more. Do your research, and find out the best or most popular brands out there. Look out especially for hose installed in offices. Armed with this information, you can be in a position to tackle the issue of selecting the best option. You may have to ask around from the people you know or conduct online research. Your office air conditioner is prone to a lowered efficiency or damage in the course of use. You cannot avoid such situations altogether, so you need to invest in a unit that will not give you a headache to maintain. Look for a simple yet efficient aircon that you can easily care for. From inspecting, cleaning, to replacing some parts, the unit should be serviceable. It doesn't matter if you will do it yourself or call a professional; it's an advantage both ways in terms of lowering the possible costs. The efficiency of the AC unit in your office will largely determine the power bills you pay. Efficiency is measured in terms of the amount of cooling it achieves for a given unit of electricity. The higher the efficiency, the lower the energy costs. It's usually indicated as an EER figure. Go for an aircon whose EER value is more than 13. Below this means the unit will be consuming more power to bring about the same air conditions as a unit with a higher EER value. 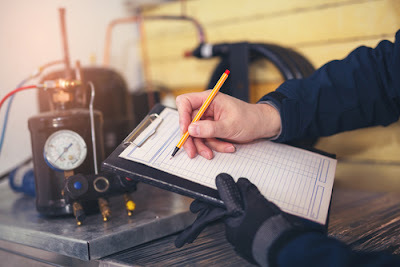 Before assuming your new air conditioner is working correctly, check to confirm. You may think it's working well while it isn't delivering the expected results. In other words, it could be working lower than its optimum. If you're unsure about it, ask a professional to check it for you. You could ask the installing technician before they go away. You don't want them to leave you with an underperforming aircon that wastes electricity and inflates your power bills for nothing. This cannot be overemphasized. A professional understands about air conditioners more than you do. They're better placed at installing your office aircon. They may even be useful sources of advice on how to maintain the unit, and how to ensure you don't burden it. Talking about having an expert install your office AC, don't just hire any expert you come across. Conduct an intensive background check before embarking on the aircon installation process. You can carry out research both online and offline. Before hiring them, ensure they have a reputation to their name. Ensure they're one of the best out there. Better still, hire an aircon installation company to do the work. Find out more about their services and whether they have the professionalism you need them to. Find out, too, if their rates are reasonable or in line with your budget. With the right company, your AC unit is bound to be the way you wanted it to be. How well you plan your office aircon installation matters a lot. The process needs to be done the right way. You do not want to end up with a unit that was wrongly installed or one that was fine in the wrong place. You also don't want to end up with a unit that doesn't serve you the way you wanted it to. That's why you need to conduct thorough research. From the company to hire, type of AC unit, to where it's installed, ensure everything is right.